Powermaster marine cooperated with GE to develop marine version SecoGear Marine MW Switchgear with PMS function and UPS panel. SecoGear P/V-17 Metal enclosed switchgear is designed by GE industrial system and manufactured with advanced technology and has been comprehensively and successfully type tested by ABS and CCS to meet marine high demand. Secogear Marine MW Switchgear is typically used in marine commercial vessels and offshore rigs, to distribute the power from diesel generators to different loads and suitalbe to provide control and protection for generators, transformers, motors and downstream LV Switchboard. 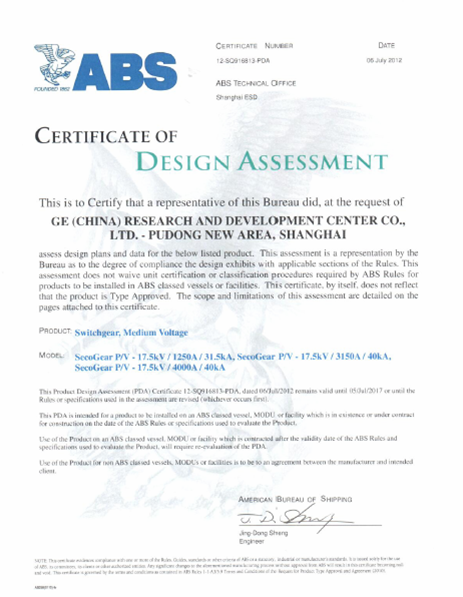 The rated voltage of Marine SecoGear is 17.5kV and rated current ranges from 630A to 3150A. All SecoGear P/V-17 with switching device are equipped with SecoVac VB2 plus vacuum circuit breakers with corresponding specifications. SecoGear P/V-17 is designed, assembled and tested to meet or exceed applicable IEC and marine standards. 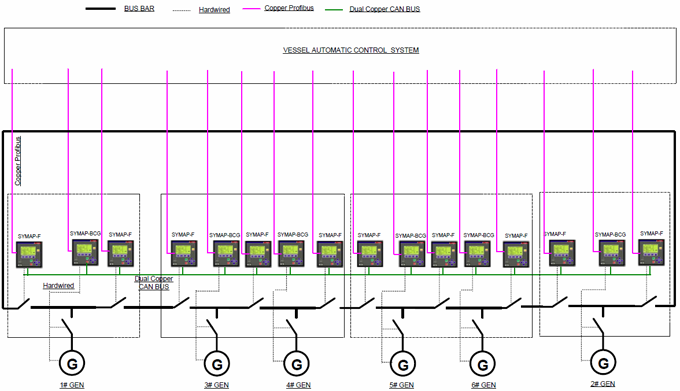 SecoGear P/V-17 will be managed by Symap-BCG and Symap-F relay and connect to I/O modules of automation system, the protocol will be Profi-bus.